Closer to home, the cataclysms include mass extinctions, plague, nuclear meltdown, and coming soon — not too soon — the Sun will expand and turn the Earth into a crispy critter. All this, of course makes for some great nighttime reading for those among us who are both in awe of such events in the heavens, and a little fearful of them. With that in mind, astronomer and author Bob Berman has just written an encyclopedia of cataclysmic events. 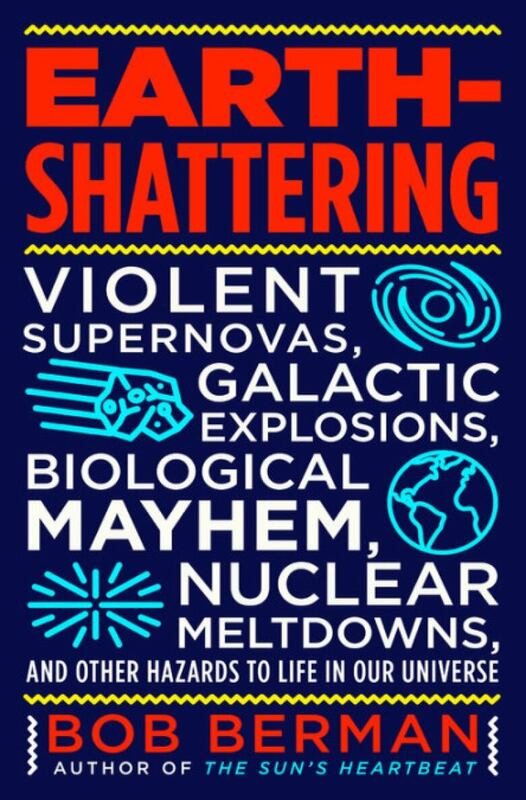 Quirks & Quarks host Bob McDonald spoke with Bob Berman about his new book, Earth Shattering: Violent Supernovas, Galactic Explosions, Biological Mayhem, Nuclear Meltdowns, and other Hazards to Our Life in Our Universe. Bob McDonald: Why did you decide to write a book that described so many different types of cataclysms that can impact us here on planet Earth? Bob Berman: Well I saw a big interest in this kind of thing for many years. I do narration for a community observatory in the Canary Islands and I've seen for years that people have this fear of a impact from another planet hitting earth or things like that. It seems to be widespread enough that it looked like that it would call for a book. Bob McDonald: The Big Bang was of course the most violent incident in the universe's history as you say, but you also say it is still banging and we could consider it an ongoing explosion. Bob Berman: It's different from any other explosion in that objects are not really being accelerated. You couldn't have that happen and it would not be allowed by the laws of physics if it weren't for the fact that it's not the objects themselves that have to be accelerated. It is space itself that's inflating. It is as if there were rocket engines attached to every galaxy cluster in the universe. It had been slowing down but started to speed up its expansion until now it's going faster and faster all the time, which is crazy. Bob McDonald: Let's just fast forward a little bit here to the 11th century, in particular April 30th, 1006. What was the calamity that happened then? Bob Berman: Well we had a supernova that was the brightest flash of light that anyone has ever seen before or since. And so the the world which had a lot of time to watch the sky back then, before we had entertainment and TV and all the rest. 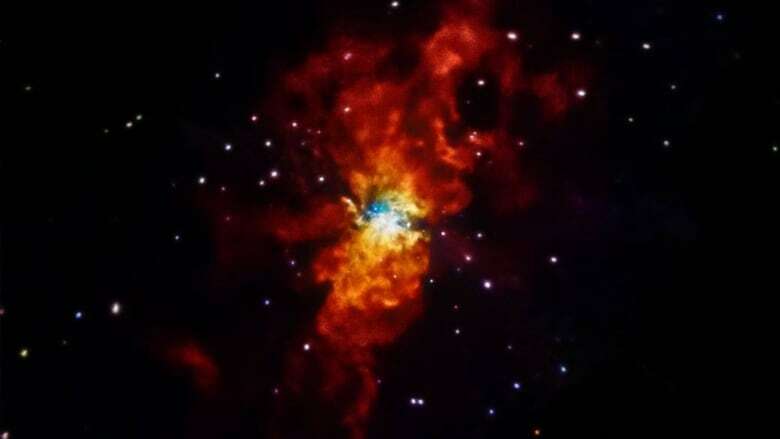 So nobody could help but see this thing that cast shadows at night and nobody knew it was a supernova. The word did not exist. No one thought that stars were changeable. Nobody knew what it was, but it was the biggest explosion ever. And it was the sign that stars don't necessarily behave themselves and live out boring predictable lives the way our sun does. Bob McDonald: What effect did that have culturally on Earth when people saw this new star in the sky? Bob Berman: It was not welcome. No changes in the sky were welcome. Comets were always omens of of ill and bad portents for not good things happening. But the one that happened only a few years later (July 1054) was another story because that that was fighting the church which had argued that the heavens were constant and consistent and the divine realm and things were not supposed to change in the heavens. It was strange that there had been two now in a single lifetime. It was really a scary thing even though ultimately here's another case where it's a bad news good news kind of thing and ends up being good for the universe. Supernovas are good because only in those fantastic temperatures do any elements that are more complex and heavy than iron get formed. So right now the iodine in our thyroid glands could only have come from supernovas. So it ends up being good. Bob McDonald: Now not all cataclysmic events are violent collisions or exploding stars. How about things like the bubonic plague and the Spanish flu. How are they cataclysmic in your eyes? Bob Berman: There is different criterion for a cataclysm. Some have said that that Fukushima power plant disaster was a cataclysm even though it has yet to kill a single person. But let us say if 20 million people died, especially in the Middle Ages. That was a time when there were far fewer people on earth to begin with. So if we're getting losses of 20 million, 30 million people then it can cross the line. There were only two real medical events that probably qualified, one as you said were the series of plagues. 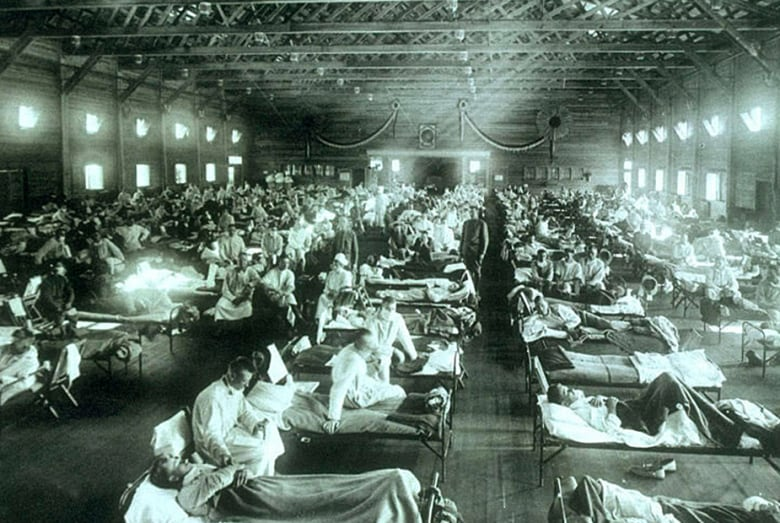 And it was the H1N1 that caused the the what we call the Spanish Flu, that 1918 flu epidemic and that spread over the world. This too affected a good percentage of the world's population. So we've never had a flu do that before, but could happen again. So one of the reasons we're fascinated by them is the question everyone asks which is 'Is this a guide to the future? Could this happen again? Bob McDonald: Finally there's only one cataclysm that is absolutely certain and absolutely total as you say in your book. That doesn't sound very good. What is it? Bob Berman: The one that there is no getting around is when the sun expands. Actually before the sun expands in five billion years it's going to be too hot to have life survive here in just one point one billion years. That's when Earth will be uninhabitable because the sun gets 10 per cent more luminous every billion years that's been going on since it was born. But the next 10 per cent rise is the bad one because nobody can figure out any way we can compensate. Previously Earth has compensated with a change in atmosphere, a thicker atmosphere and other things but not this next one. Bob McDonald: Should we really be worried about these things since they're so common? Bob Berman: I don't think so. But I think there's something within people that they want to attach their lives to something bigger and more epic, something grander, and so the idea that it's not just they themselves personally who will die but the whole world gives things a more epic or purposeful appearance to them. So I think that's why of course the various religions that have prophecies have cataclysmic events as the end. That plays into that as well.